You might call it a ‘Real Rocky’ moment if you want, and indeed, British warrior Rocky Fielding was perhaps as surprised as the fictitious movie brawler was when he got news of his massive, potentially life changing opportunity. 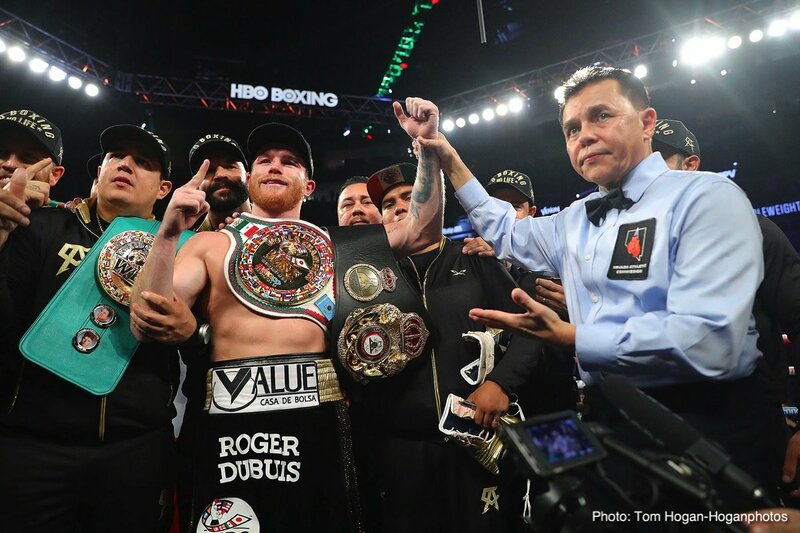 As fans have likely heard by now, the WBA “regular” champion at 168 pounds will face Mexican superstar Canelo Alvarez at Madison Square Garden on December 15. Canelo told us all immediately after his superb winning rematch with Gennady Golovkin how he wanted to get another fight in before the end of the year (no doubt due to the enforced year out of the ring Canelo endured from September of 2017 to this past September; this hiatus the result of those two failed drugs tests) and now Canelo’s second fight of 2018 has been announced. And what an enormous opportunity this really is for Fielding, 27-1 (15). Since the shock one-round loss to countryman Callum Smith (the full WBA champion at super-middle) Fielding has regrouped and gone on to score a big upset of his own, when he stopped Tyrone Zeugue to win the WBA belt he will defend against Canelo. Needless to say, if Fielding can defeat Canelo, he will never be doubted by anyone ever again. There are a lot of questions going into this fight – one that will add to the already hectic December fight schedule: has the cut above his eye Canelo picked up in the Golovkin rematch fully healed? Will Canelo stay at 168 or is the world middleweight king merely taking a temporary stop-gap? Who will televise the fight? Canelo’s deal with the soon to exit the sport HBO has expired and rival networks DAZN and ESPN are trying to sign up the pound-for-pound box-office champ. And perhaps the biggest question: what happens if Canelo gets beaten on December 15? It’s unlikely, yes, but Fielding can punch, he is a big guy, and he will of course be motivated and pumped up like never before for this mega-chance. If Canelo did actually lose, would we say a collective goodbye to a third battle between he and GGG? Would there be a Fielding-Canelo II? Or suppose Canelo likes fighting up at 168, feels great there, smashes Fielding, and then decides to stay put. Would Golovkin then move up himself, for the third and deciding fight between the two rivals? Only time will tell. For now, we have an interesting fight to look forward to. Canelo is already a huge favourite to win and in so doing pick up another belt, but just maybe the tough, proud and gutsy Rocky from the UK can give Canelo a real war for however long the action lasts. Canelo has fought a number of British fighters during his career – Matthew Hatton, Ryan Rhodes, Amir Khan and Liam Smith – and he has of course beaten them all. Can Fielding pull it off the way his countrymen failed? Previous boxing news: Dillian Whyte vs. Luis Ortiz: A Fight Worth The Risk?